The $43 million Wainisavulevu Weir Raising project will be commissioned by Prime Minister Voreqe Bainimarama today. The Fiji Electricity Authority began with the project to raise the weir by eight metres in 2012. 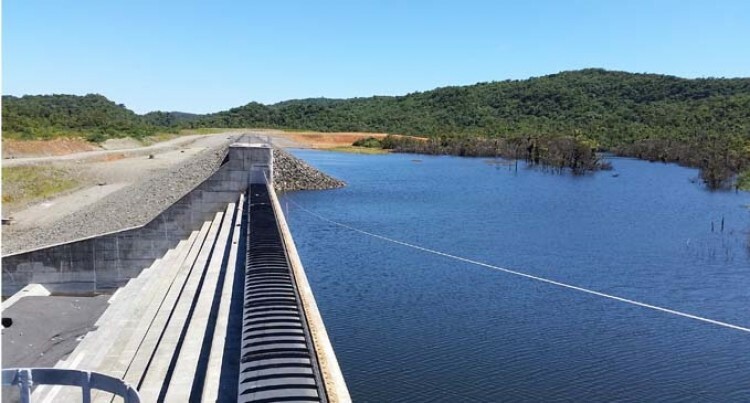 The weir was 915 metres above sea level with the rubber dam before the project and following the completion, is now 923 metres above sea level with the rubber dam. The project, with Chinese firm, Sinohydro, was completed on time and on budget towards the end of 2014. The one year period was for the contractors to look for any defects and fix it before the commissioning can be done. What this means? Basically water storage capacity at the Waisavulevu Weir has been increased by 17 times. What it will mean for the country? At least 10 million units of more electricity will be generated at the Wainikasou Power Station per annum. What this will mean for FEA? Around $2.5 million savings approximately per year in diesel costs. Wainisavulevu Weir forms part of the whole Monasavu Hydro Electric Scheme and is the first point at the highest point. The water captured at the Wainisavulevu Weir travels 1.55km to the Wainikasou Power Station where the first set of electricity is generated. The discharged water then travels through a series of tunnels spreading across 11km and connects to the Monasavu Dam. The water is then picked again and taken to Wailoa Power Station where another set of electricity is generated. So basically the same water gets used twice and the raising of the weir will ensure there is more water caught in Wainisavulevu. The FEA is looking at a future potential for a Wailoa downstream project where the water discharged from Wailoa Power Station can be further used to produce a third set of electricity.